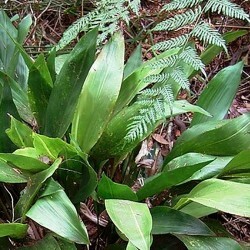 Aspidistra There are 9 products. 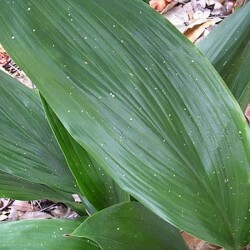 Aspidistra elatior 'Equinox'(plante de fer)liliaceae. 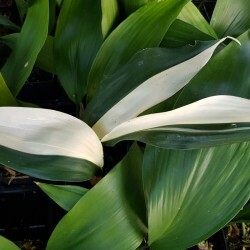 An american cultivar found in France. 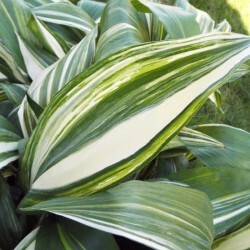 Declination of the aspidistra e . 'Variegata' . evergreen green half white half . 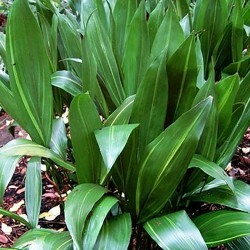 Elegant and bright, it will make a lot of effects in shade garden. Slow growth. Soil humus drained dry a little cool .